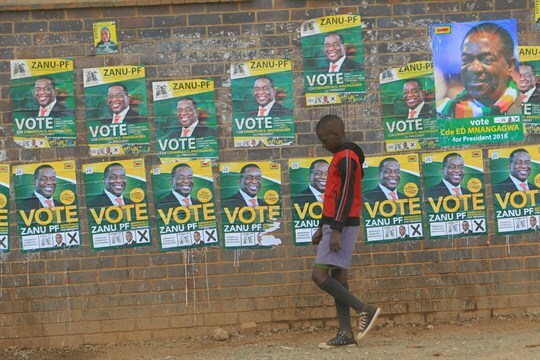 A boy walks past campaign posters for Zimbabwean President Emmerson Mnangagwa, Harare, Zimbabwe, July 25, 2018 (AP photo by Tsvangirayi Mukwazhi). The oldest man in the world lives in Zimbabwe. His name is Phidas Ndlovu, and he is 140 years old.